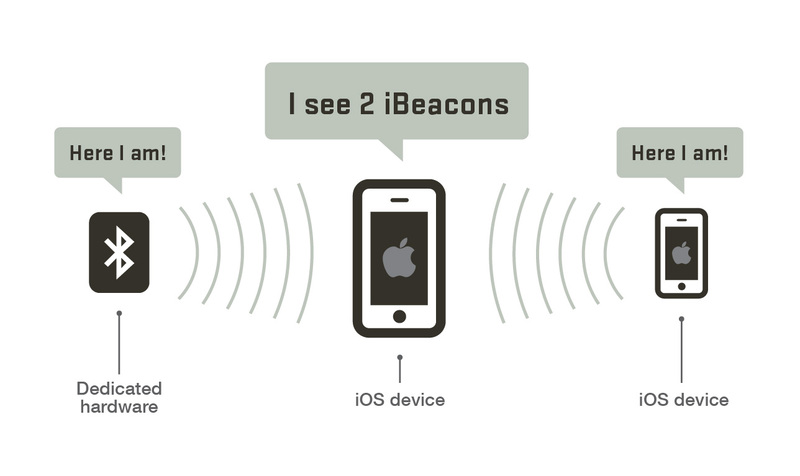 What is iBeacon? 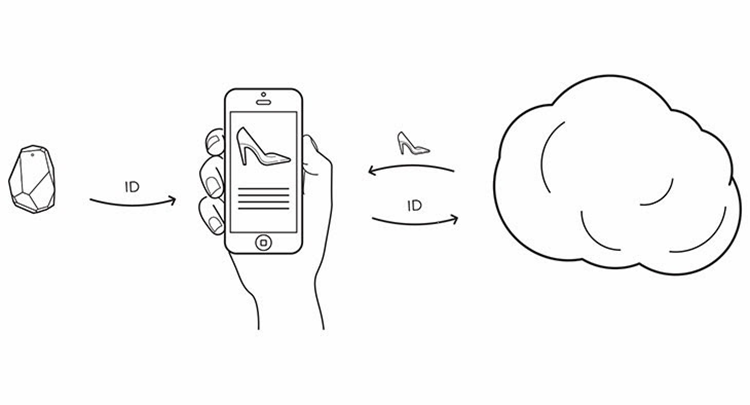 What are iBeacons? The term iBeacon and Beacon are often used interchangeably. iBeacon is the name for Apple’s technology standard, which allows Mobile Apps (running on both iOS and Android devices) to listen for signals from beacons in the physical world and react accordingly. In essence, iBeacon technology allows Mobile Apps to understand their position on a micro-local scale, and deliver hyper-contextual content to users based on location. The underlying communication technology is Bluetooth Low Energy. Bluetooth Low Energy is a wireless personal area network technology used for transmitting data over short distances. As the name implies, it’s designed for low energy consumption and cost, while maintaining a communication range similar to that of its predecessor, Classic Bluetooth. How is BLE different from Regular Bluetooth? Power Consumption: Bluetooth LE, as the name hints, has low energy requirements. It can last up to 3 years on a single coin cell battery. Lower Cost: BLE is 60-80% cheaper than traditional Bluetooth. Application: BLE is ideal for simple applications requiring small periodic transfers of data. Classic Bluetooth is preferred for more complex applications requiring consistent communication and more data throughput. How does BLE communication work? BLE communication consists primarily of “Advertisements”, or small packets of data, broadcast at a regular interval by Beacons or other BLE enabled devices via radio waves. BLE Advertising is a one-way communication method. Beacons that want to be “discovered” can broadcast, or “Advertise” self-contained packets of data in set intervals. These packets are meant to be collected by devices like smartphones, where they can be used for a variety of smartphone applications to trigger things like push messages, app actions, and prompts. Apple’s iBeacon standard calls for an optimal broadcast interval of 100 ms. Broadcasting more frequently uses more battery life but allows for quicker discovery by smartphones and other listening devices. Standard BLE has a broadcast range of up to 100 meters, which make Beacons ideal for indoor location tracking and awareness. How does iBeacon use BLE communication? With iBeacon, Apple has standardized the format for BLE Advertising. Under this format, an advertising packet consists of four main pieces of information. UUID: This is a 16 byte string used to differentiate a large group of related beacons. For example, if Coca-Cola maintained a network of beacons in a chain of grocery stores, all Coca-Cola beacons would share the same UUID. This allows Coca-Cola’s dedicated smartphone app to know which beacon advertisements come from Coca-Cola-owned beacons. Major: This is a 2 byte string used to distinguish a smaller subset of beacons within the larger group. For example, if Coca-Cola had four beacons in a particular grocery store, all four would have the same Major. This allows Coca-Cola to know exactly which store its customer is in. Minor: This is a 2 byte string meant to identify individual beacons. Keeping with the Coca-Cola example, a beacon at the front of the store would have its own unique Minor. This allows Coca-Cola’s dedicated app to know exactly where the customer is in the store. Tx Power: This is used to determine proximity (distance) from the beacon. How does this work? TX power is defined as the strength of the signal exactly 1 meter from the device. This has to be calibrated and hardcoded in advance. Devices can then use this as a baseline to give a rough distance estimate. A device receiving this packet would understand it’s from the Coca-Cola Beacon (UUID) in the Target on 1st Street (Major) at the front of the store (Minor). Why is iBeacon a Big Deal? With an iBeacon network, any brand, retailer, app, or platform will be able to understand exactly where a customer is in the brick and mortar environment. This provides an opportunity to send customers highly contextual, hyper-local, meaningful messages and advertisements on their smartphones. The typical scenario looks like this. A consumer carrying a smartphone walks into a store. Apps installed on a consumer’s smartphone listen for iBeacons. When an app hears an iBeacon, it communicates the relevant data (UUID, Major, Minor, Tx) to its server, which then triggers an action. This could be something as simple as a push message [“Welcome to Target! Check out Doritos on Aisle 3!”], and could include other things like targeted advertisements, special offers, and helpful reminders [“You’re out of Milk!”]. Other potential applications include mobile payments and shopper analytics and implementation outside of retail, at airports, concert venues, theme parks, and more. The potential is limitless. This technology should bring about a paradigm shift in the way brands communicate with consumers. iBeacon provides a digital extension into the physical world. We’re excited to see where iBeacon technology goes in the next few years. Receive One Year Free Web Hosting.